As the professional supplier of rain wears and Promotion, we hope meet you at the fair and discuss the future business. Addr. : Unit 13, Expo Galleria, HK Convention & Exhibition Centre. Wanchai, HK. There are many kinds of new and hot rainwear, apron, Umbrella, garments and promotion items will be show at the fair, waiting for your visit. 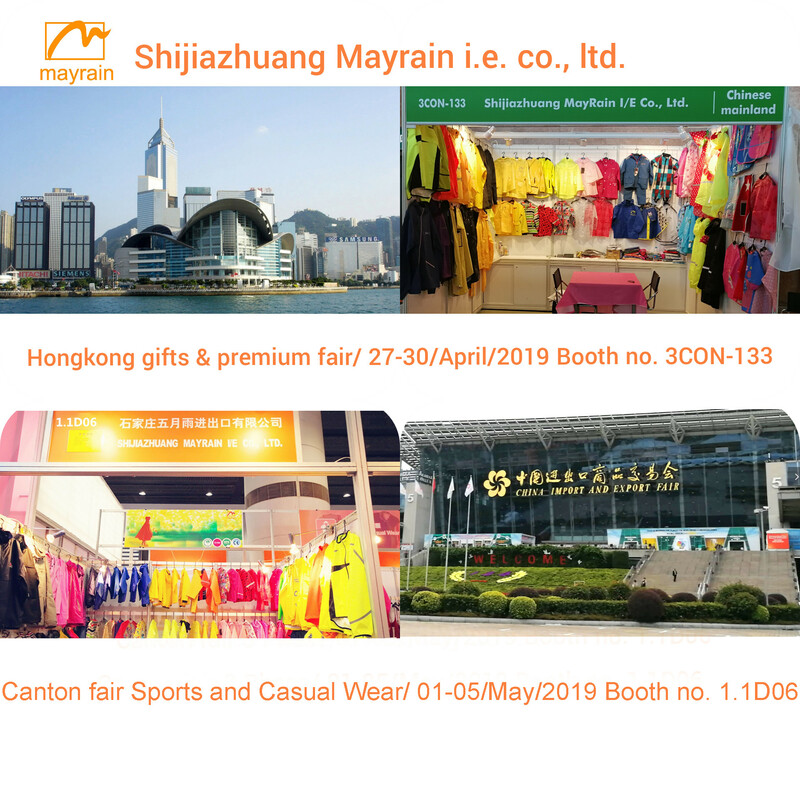 Shijiazhuang Mayrain I/E Co., Ltd. Copyright © 2019 SHIJIAZHUANG MAYRAIN IE CO.,LTD. All rights reserved.